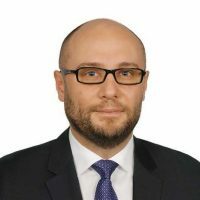 Doğan Eymirlioğlu is a partner in the firm’s Istanbul office and a member of the global franchise practice group. He is known in the market for his business-oriented approach and experience working on high profile domestic and cross-border matters. With his strong experience particularly in corporate law, contracts law, he represents foreign and local clients on their retail, commercial contracts and assists in drafting and revising franchising and distribution agreements, negotiating settlements, drafting cease and desist letters, co-existence agreements, and other similar documents. He is particularly praised for choosing and implementing a legal strategy that fits client needs and provides flexible remedies. He is noted for his great team-player attitude towards colleagues and various transaction parties such as financial advisors and investment bankers and his strong team-building capabilities.